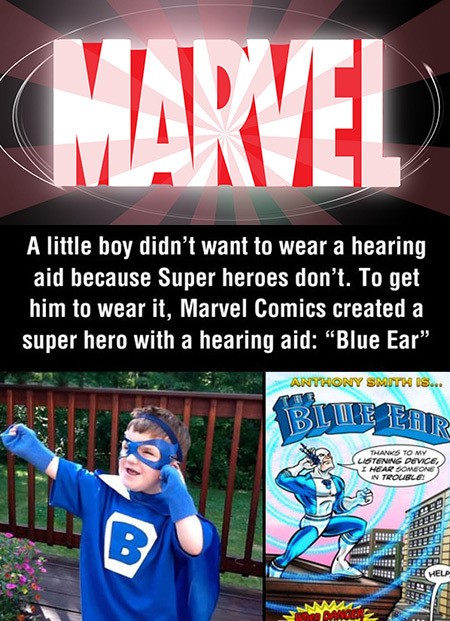 For non comic book fans, Blue Ear is a superhero in the Marvel Comics Universe created specially for Anthony Smith, a hearing-impaired 4-year-old comic book fan from Salem, New Hampshire, USA. He has no hearing in his right ear and minimal hearing in his left because he suffers from Mosaic trisomy 22. 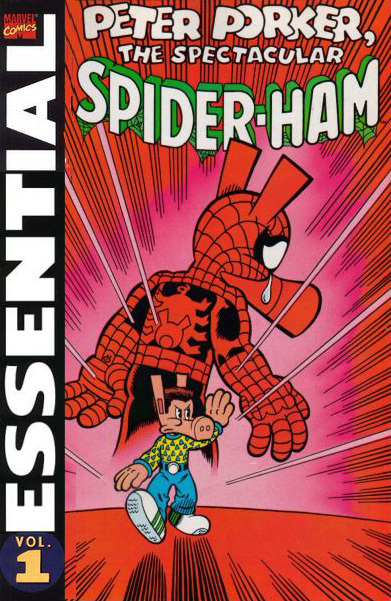 When Smith was given a hearing aid by his mother he became depressed and refused to wear it to school because “superheroes don’t wear blue ears.” His mother was alarmed by this and emailed Marvel Comics for assistance, and “The Blue Ear” was born, thanks to designer and assistant editor, Nelson Ribeiro. Marvel Comics responded by sending D’Allesandro comics of Hawkeye from the 1980s, when the superhero lost 80% of his hearing and had to wear hearing aids, along with a drawing of “The Blue Ear,” a superhero based on Anthony, saying, “Thanks to my listening device I hear someone in trouble.” Continue reading for more.